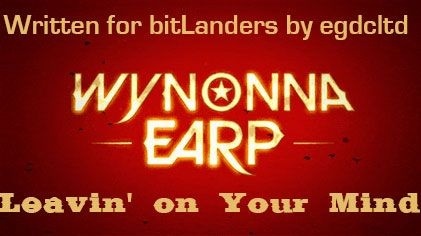 "Leavin' on Your Mind" is episode three of season one of Wynonna Earp, the fantasy western series based on the graphic novel series of the same name about Wyatt Earp's descendant. In this episode, revenants are taking items to help them perform a ritual. Wynonna is in Shorty's bar helping Waverly and asks Henry to buy her a drink, as she thinks he is just her type. After the events of the previous episode, "Keep the Home Fires Burning", Wynonna and Waverly are living again on the family homestead, as it has been made secure against revenants. Now that the charm that Waverly's not-so-imaginary imaginary friend, Bobo - who would also appear to be the leader of the revenants - convinced her to bury has been removed. 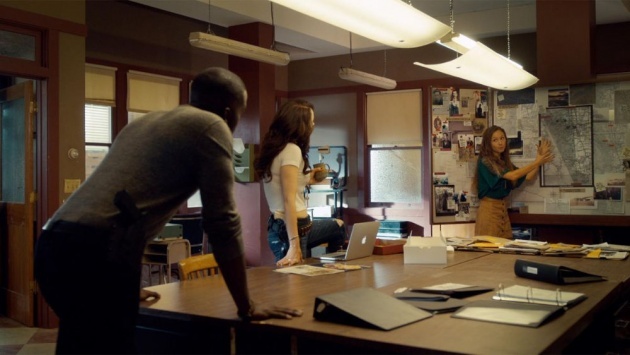 Waverly is also acting as a research consultant for the Black Badges. 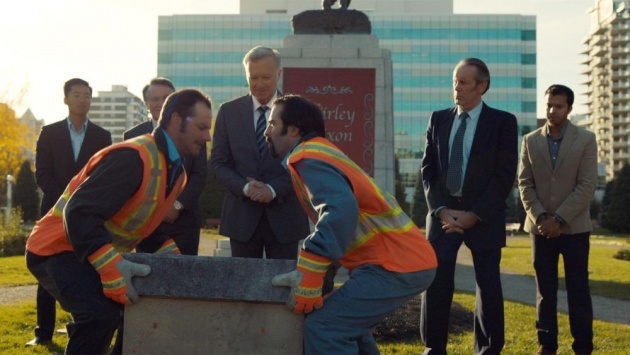 In the city, a time capsule left by Shirley Dixon is about to be dug up, and the deputy mayor is present. The capsule was buried in 1906, and the deputy mayor wants to find out what was left. The revenants also want something and, once the capsule is unearthed, take Dixon's diary out of it. The revenants drop a severed hand by accident and one of them, who is rather twitchy, really wants to kill someone. So the mayor gets murdered. Waverly is telling the results of her research to Dolls and Wynona. She says that there's an area called the Ghost River Triangle inside which the revenants are trapped. If they try to leave, they will experience Hell on Earth. Dolls wants all the prisoners of this prison identifying, so they can help keep them contained. 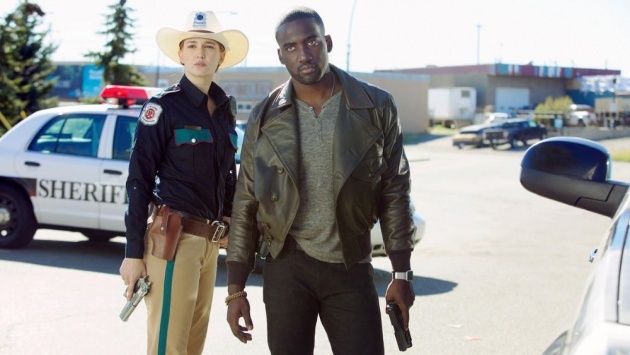 Officer Nicole Haught enters with news for Dolls about the murder of the deputy mayor. Officer Haught also appears to have taken a shine to Waverly. Perhaps it is returned a little, even though Waverly is dating Champ. 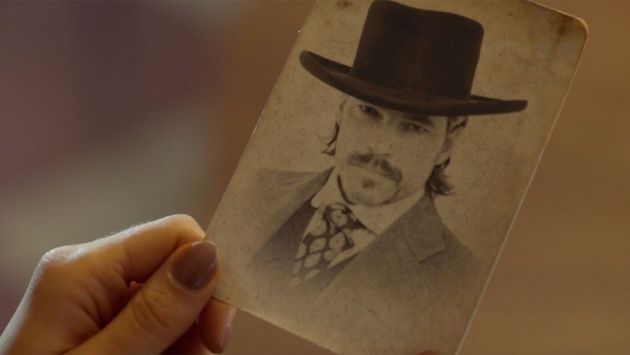 After the others leave, Waverly is tidying her research away when she comes across a photo of Doc Holliday. 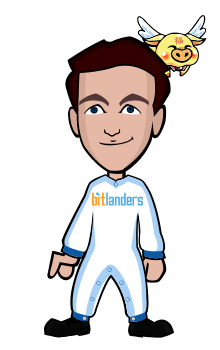 Who looks a bit familiar. Until now, they've just thought that Henry is a bit of an Earp fanboy. So Waverly decides to look into Henry herself. Dixon's diary was the diary of a deaf mute poet. Dolls shows Wynonna a video of the three revenants attacking a man at a bus stop and cutting off his left hand. Wynonna recognises one of the revenants - the rather twitchy one - as being one of those that attacked her family. Dolls says that the man at the bus stop had been charged with killing his girlfriend 50 years previously, but there was insufficient evidence. He says that the left hand of an innocent murderer is a useful item in some circles, and he thinks the revenants are trying to perform a ritual. In which case they probably need a third item. Bobo revealed that he had some sort of plan for leaving the Triangle; he was more interested in that than killing the Earp heir. The twitchy revenant is also digging up a grave. He is surprised by someone, who he kills. Wynonna, who comes to her father and sister's grave, stumbles across him as well. She tries to shoot him but he is really fast. Although he does drop something as he leaves. The grave belonged to a man who used to manage the Bank of Purgatory. Which is now a surplus store, but the vault is still in place. That's where the three revenants are, as well as Champ and Shorty, when Dolls and Wynonna arrive. So the revenants take them, and the others in the shop, hostage. Wynonna offers to be their hostage in exchange. The twitchy revenant, Marty, is also getting rather out of control. The revenants appear to be trying to perform some sort of ritual that will allow them to leave the Triangle. There's a witch involved too, one of unknown motivations. Doc Holliday's intentions still are not remotely clear either. He is after something, but what and why are not truly known.